is a profesional magician, musician, actor, speaker, writer and producer. He wears many hats and has accomplished astounding achievements in the entertainment industry at a young age. Some refer to him as a renaissance man… although he claims to be a “jack of many trades but a master of none”. Adam started in magic at age 6, after being fooled by his father’s “Kit Kat” trick. Adam studied magic, music, and acting, performing in his first stage play at age 6. By the time Adam was ten years old, he had performed in many local musicals, plays, and had become very talented at playing piano, winning local competitions. His love for magic grew into a full-time obsession. Adam studied magic and music for eight hours a day, pouring every ounce of energy into developing his own style and marketing his show. By age sixteen, Adam Grace had taken the stage-name Adam “Amazing” Grace and was one of the most successful magicians in the South. Adam, with his troupe of dancers, lighting guys, stagehands, and assistants, performed hundreds of shows in the surrounding states. It was during this time that he gained valuable experience on stage performing for corporate shows, cruise ships, churches, Christmas parties, retirement homes, birthday parties, and convention centers across the South. “I loved performing and I would do any show… anywhere. I had a hard time keeping my grades up in school because I was on the road every weekend and most school nights”, Adam says. During this time, Adam met his mentor Frank Brents while on a cruise to Alaska. Frank taught Adam a new style of magic and encouraged him to move to New York City to hang with the “big boys” of magic. Adam took Frank’s advice, and at age seventeen, he graduated high school and was accepted into a premier acting school in New York City. At the American Music and Dramatic Academy, Adam studied acting, singing, dancing, and musical theater. He reconnected with his mentor, Frank, and started hanging out at Rubens Deli with some of his favorite magicians. Here he studied with underground artists, honing his abilities in close-up magic and hypnotism. After finishing at AMDA, Adam landed parts in regional theater shows and continued to regularly perform magic to make a living. Adam’s first big break came when he landed a part in the broadway show, “Busker Alley” starring Tommy Tune. He became one of the youngest magicians to ever perform in a Broadway show…at the age of twenty! In 1998, Adam began releasing his own original magic tricks and material. With the help of his friends in magic, Aaron Fisher, Lee Asher and Nate Kranzo, Adam developed his magic lecture and toured the country delivering his lectures to other magicians. Many of his early books and notes were produced in limited supply and are now out of print; however, a few remain on the market. It was through lecturing that other magicians became aware of Adam’s original style and ingenious effects. Even today, when magicians think of Adam Grace, they always comment about his creativity and super unique style. By 2001, Adam had developed a huge roster of corporate clients, performing events for Nike, Coke, Pillsbury, Eclipse, Nabisco, Marlboro, and other fortune 500 companies. He juggled his love for acting and magic and eventually decided to make a move from the Big Apple. In late 2001, Adam relocated to Los Angeles and began performing at the world famous Magic Castle in Hollywood. He regularly performed in the Close-Up Room, Parlor or Prestidigitation, and the Castle Bar building a huge fan base of magicians and laymen who loved his off-beat routines. He also caught the attention of some celebrities and performed private parties for some of the biggest film stars and producers in Hollywood. That year, Adam landed the part of “Chip” in the major motion picture SHADE, starring Sylvester Stallone, Hal Holbrook, Gabriel Byrne, Jamie Foxx, Stuart Townsend, and Melanie Griffith. 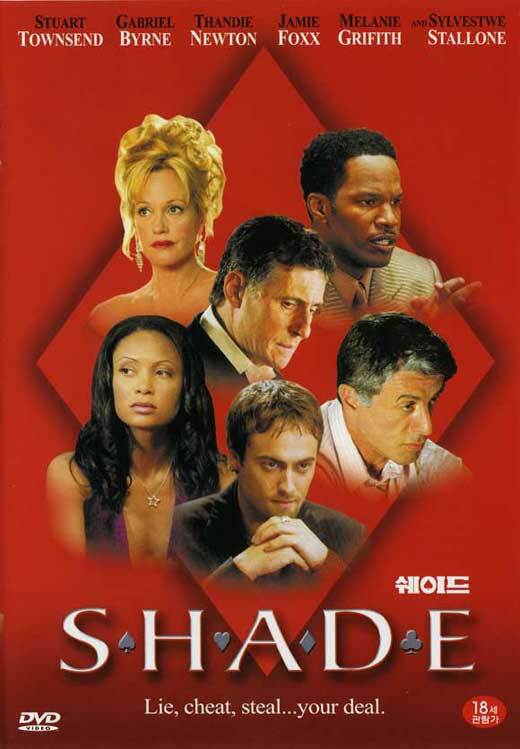 The film, directed by Damian Neiman, featured a story about conmen and the underground world of the card hustle. In 2002, Adam performed and toured with Gary Jules and their cover of the Tears For Fears song “Mad World” became a world-wide sensation. The song became “Christmas Number One” in the UK. The music video was directed by the famed Michel Gondry and has since been used on major films, commercials, and television shows. While in Hollywood, Adam filmed and starred in many national commercials for Dr. Pepper, Nissan, Taco Bell, Budweiser, Alltel Wireless, T-Mobile, and KFC, as well as appearances on television shows and independent films. In 2003, Adam appeared on “The Sharon Osbourne Show“ performing magic. That same year he performed on “Union Jack” a British television show, and sawed Jack Osbourne in half. He also was featured on MTV’s ht show “The Osbournes”. Adam was also featured on the Court TV show “The Fake Out”, a show about “who is the best liar”. Using his magic skills, Adam beat Jack Trimarco, one of the world’s leading FBI profiler and lie detection expert. Adam Grace and Hal Holbrook. In 2004, Adam was a part of the Court TV show “The Take Down”. This show featured a group of magicians/ con men who use their skills to cheat a casino out of thousands of dollars. That same year, Adam connected with famed magician Criss Angel and contributed one of his original tricks for Angel’s hit show “Mind Freak” on A&E. In 2005, Adam traveled to Singapore to film “Mondo Magic”, a street magic television show starring Chris Korn and JB Benn. That same year Adam released his first hit trick with Ellusionist.com. Since then, Adam has produced several hit tricks with Ellusionist including FROZEN, RINGTONE, and GLASS. Playing to a crowd of ten thousand. In 2006, Adam developed a script for Sony revolving around a magician as well as writing other scripts for independent films. That year, Adam launched a huge street campaign for Orbitz gum, using his skills to promote their brand at sports arenas around the USA. In 2007, Adam starred in “Scooby Doo, Do You Believe in Magic” for New Wave Entertainment, producing a kid-friendly DVD that taught kids about magic. In 2008, Adam made appearances on “The Morning Show”, “Midday Show”, as well as producing three more original tricks that were released to the magic world. In 2008, Adam signed a record deal with Sony and toured with his group Truth & Salvage Co. Their first tour took the to Iraq to perform for the troops. He spent fourteen days traveling from base to base doing shows for American soldiers. Performing in store for GAP promotion. Performing for the troops in Iraq. In 2009, Adam and his group went on tour with famed rock and roll band The Black Crowes, performing over fifty shows with them all over the USA. He was also featured in the GAP campaign, doing live performances in stores around Los Angeles. Adam Grace at the piano. Today, Adam Grace tours the world, performing in many countries and embracing his love for magic, music, and all the performing arts.